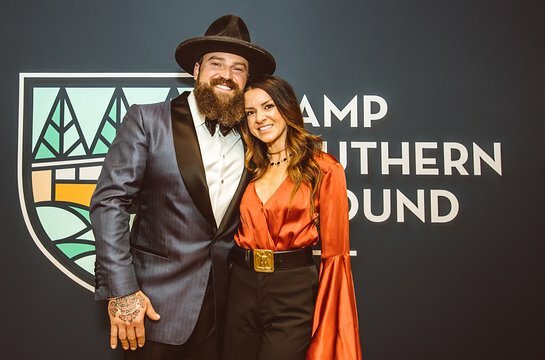 On Friday, December 1st, multi-platinum GRAMMY award-winning artist Zac Brown, of Zac Brown Band, hosted a intimate benefit for his non-profit passion project, Camp Southern Ground, at a private home in Atlanta’s Buckhead neighborhood. The second annual Evening to Remember fundraiser raised $1.7 million for the camp located in Fayetteville, GA.
“Shelly and I are thrilled to have raised such a substantial amount for Camp Southern Ground. We’re always humbled by the generosity of our friends, supporters and the Atlanta community,” said Brown. “We were blown away by the outpouring of support and generosity from the Atlanta community and beyond. Most of the funds raised will help us to build the first residential lodge with 128 beds which will enable our first season of summer camp starting in June,” said Mike Dobbs, President and CEO of Camp Southern Ground. For the second year, the event was hosted by Stacey and Don Leebern III, of Georgia Crown Distributors and was attended and supported by Honorary Chairs, Lisa and John Novak and Jessi and James Freeman. Sponsors and guest members in attendance from the Atlanta Falcons, Atlanta Hawks, the Weiss Family, CAA, Cambria, Atlanta Kitchens, Advance BioEnergy, Mercedes-Benz, Serling, Rooks, Hunter, Mckoy & Worob, Giles and Sherra Bowman Family Fund, The Arthur M. Blank Family of Businesses, Macdermid, Wendy Barton, Laura Turner Seydel, and Florence Hall Edwards. This year also boasted a star-studded guest list featuring Chef Emeril Lagasse, collaborating with Zac Brown Band Executive Chef Rusty Hamlin on a delicious New Orleans style cuisine dinner. 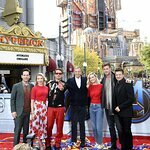 Special support from Austin Stowell, and Avengers star Chris Hemsworth. Stowell, who appears alongside Chris Hemsworth in 2018’s 12 Strong produced by Jerry Bruckheimer, served as emcee for the evening. Both provide additional contributions to the Live Auction. Then Zac Brown Band took the stage to close the night with an exclusive performance to celebrate another successful year for Camp Southern Ground.